I have available a #10184 Town Plan for sale. Set is 100% complete with all parts, minifigures, and instructions. Only real issue with set would be the stickers. It is missing two (the two big Octan ones for the hanging sign) and most (not all) of the rest are cracking pretty bad. Otherwise set is overall in very good condition, though please keep in mind it is USED. I will post pictures as soon as I can. 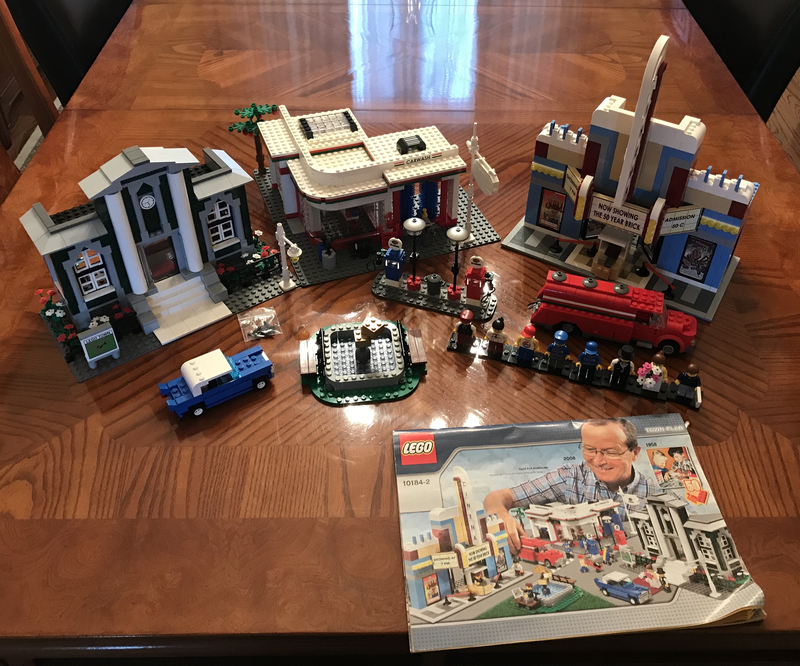 Will be putting up on eBay shortly for $250 but for my fellow Bricksetters only $225. PM with any questions. Always open to offers! Thanks!